Understanding the CDCS (Certified Documentary Credit Specialist) and its examination. 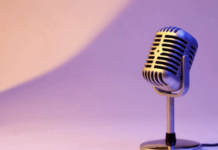 What is a CDCS (Certified Documentary Credit Specialist)? CDCS (Certified Documentary Credit Specialist) is an international title in trade finance. In order to get the CDCS title, participants must pass an examination which takes around 3 hours. CDCS certificate examination is organised by The London Institute of Banking & Finance. CDCS ( Certified Documentary Credit Specialist ) is the professional certification which will enable letter of credit practitioners to prove their specialist knowledge and application of the skills required for competent practice in a global scale. The CDCS certification has been developed in consultation with industry experts to ensure that the certification reflects best practice. The London Institute of Banking & Finance and BAFT (The Bankers Association for Finance and Trade) jointly developed the CDCS certification programme. CDCS is also endorsed by the International Chamber of Commerce. It is the only certificate which is approved by ICC on documentary credit field. 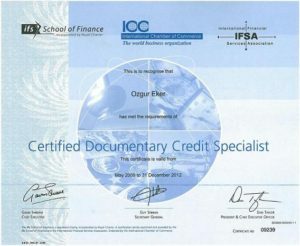 The CDCS is the international standard for documentary credit specialists. Banks prefer CDCS entitled practitioners for their trade departments in order to reduce their own risks by working with professionals who approved their competence from the institution that is creator and governor of the documentary credit rules. Ozgur Eker’s CDCS Certificate from 2009. There are no entry requirements for the CDCS examination. Anyone, who pays the exam fees, can enter the examination. However please keep in mind that it is not easy to pass the CDCS exam. You should prepare well for the examination. The London Institute of Banking & Finance recommends to the exam participants have a minimum of three years’ documentary credit experience for their own benefit. Assessment for CDCS consists of a 3 hour multiple-choice examination, designed to test knowledge and its application to practical situations. The examination paper consists of 70 multiple-choice questions, 3 in-basket case studies and 3 document checking simulations. The content of the CDCS examination is based on the results of a job analysis study that identified key responsibilities of a documentary credit practitioner and areas of knowledge and skills required for competent practice. The examination consists of multiple choice knowledge and application questions as well as sample in-baskets and simulations that test for analysis skills. USA, Canada and Mexico CDCS examination held by BAFT-IFSA. You can reach their website from this link. All other countries CDCS examination held by IFS University College. You can reach their website from this link. *for exact and up-to-date cost please refer to above official websites. You have to study by yourself to the CDCS examination. Once registered a textbook is sent to every candidate by post. As of 2014, this text book is “The Guide to Documentary Credits” written by Gary Collyer. This book will be your main textbook. Also you can enter libf.ac.uk website with your password to reach online materials. 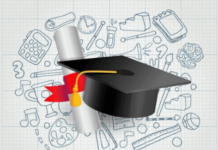 Preparation for the examination usually takes six months with comprehensive learning materials provided. 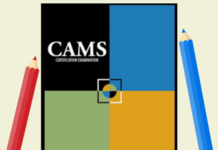 You can reach CDCS examination learning outcomes and assessment criteria from this link. USA, Canada and Mexico CDCS examination held by BAFT. You should apply for a cdcs certificate exam from their official website from this link. All other countries CDCS examination held by The London Institute of Banking & Finance. You should apply for a cdcs certificate exam from their official website from this link. Next articleHow to Prepare CDCS Examination?